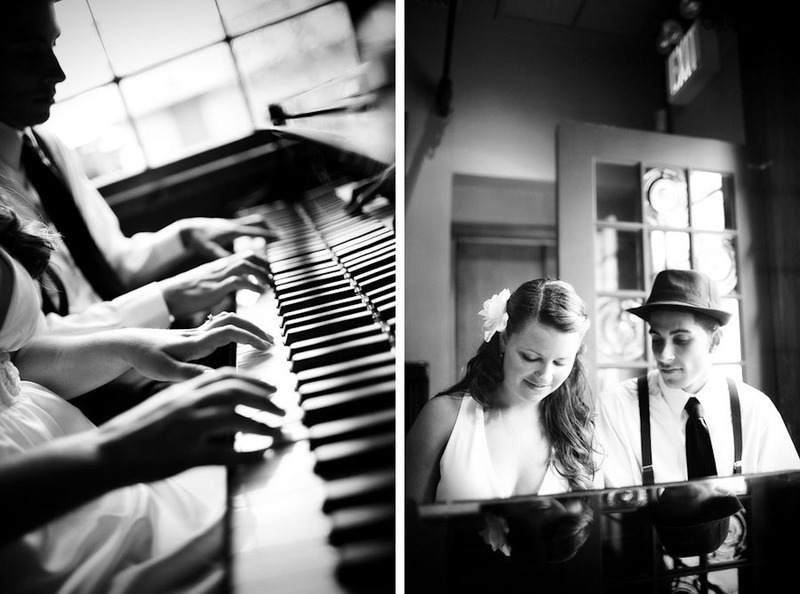 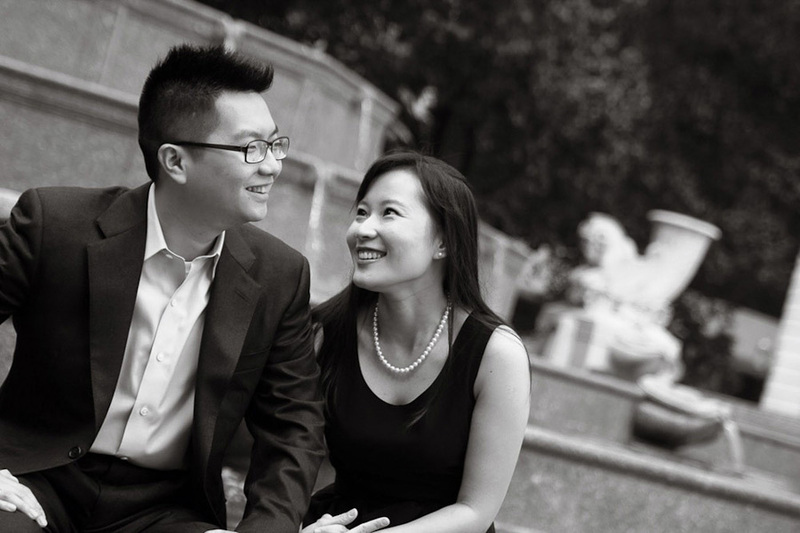 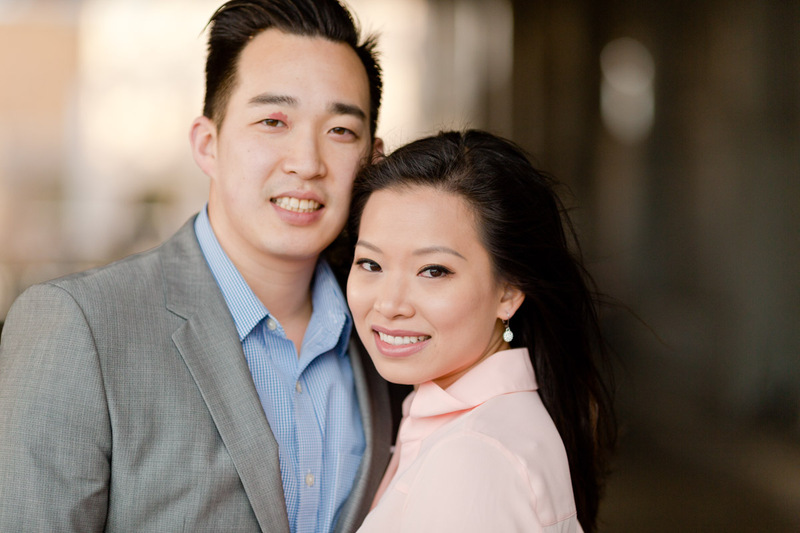 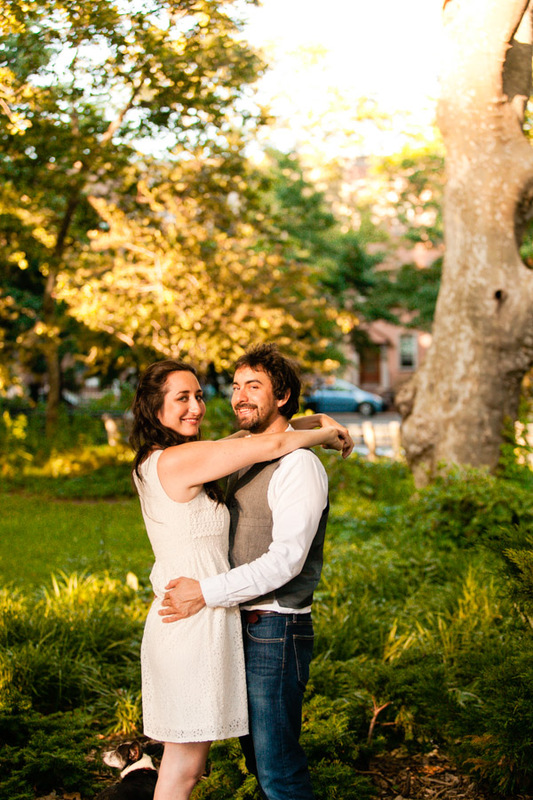 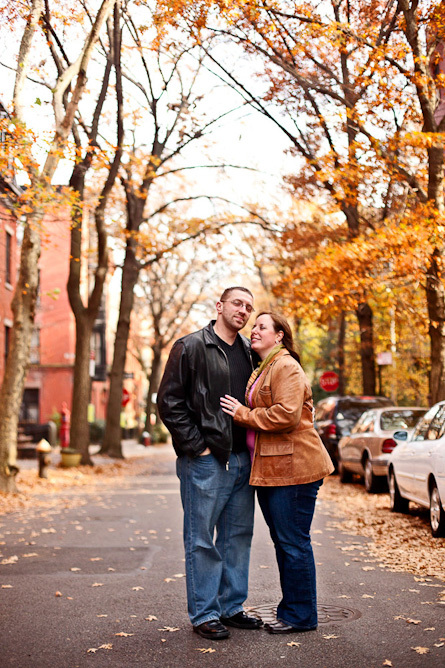 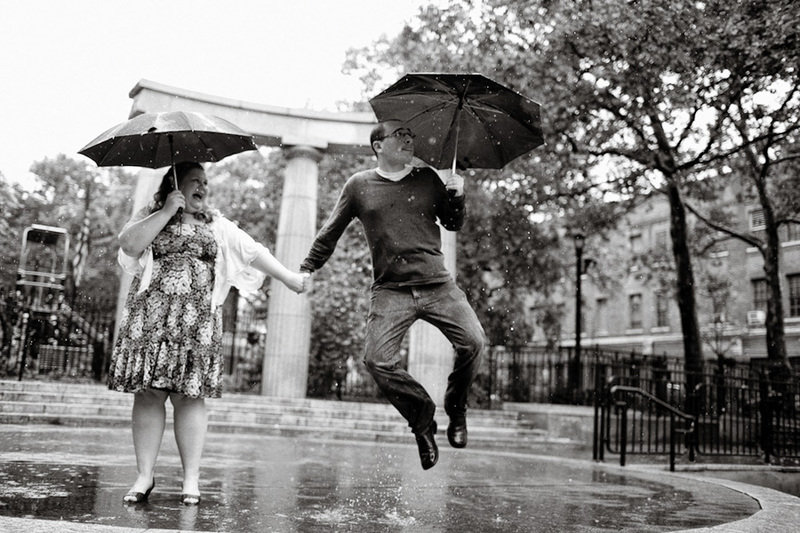 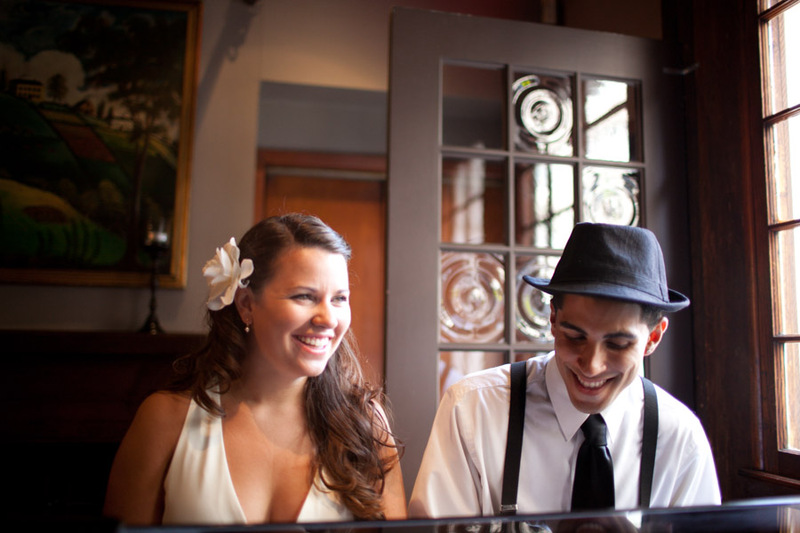 I am a New York / New Jersey wedding and engagement photographer. 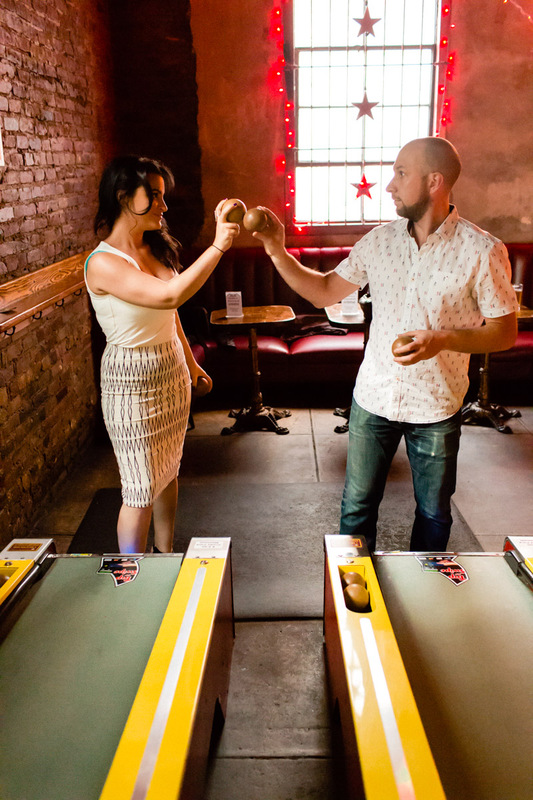 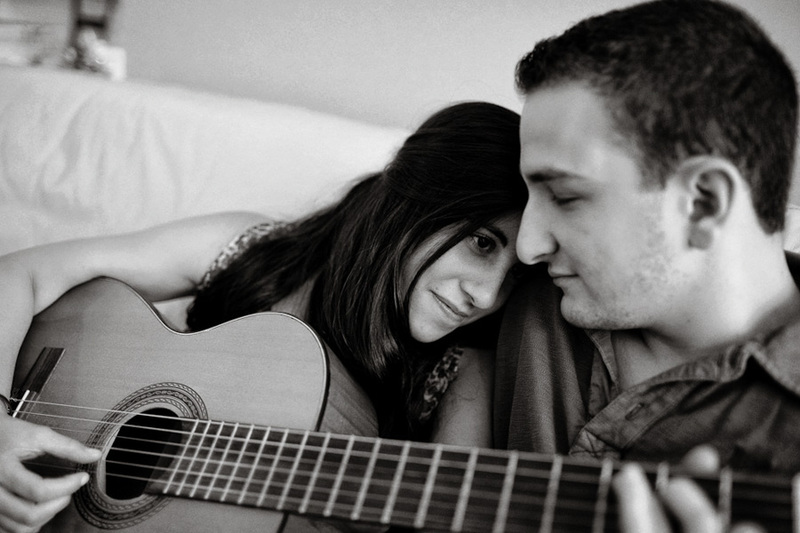 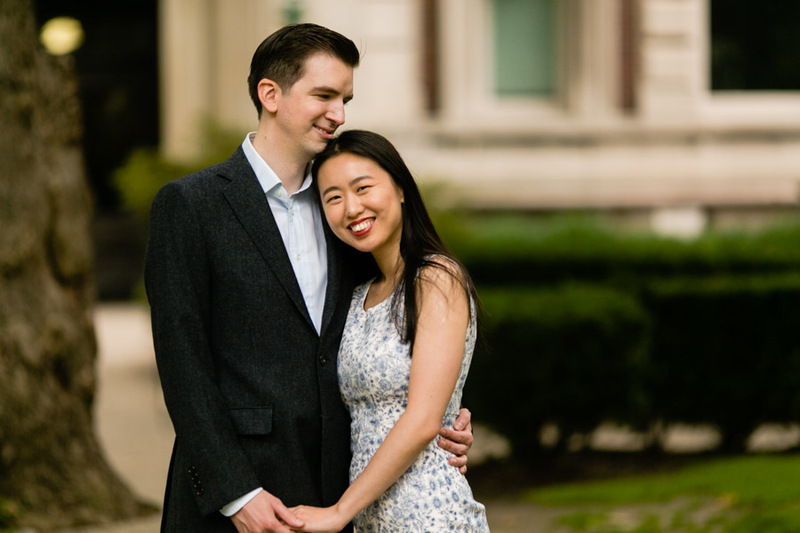 The gallery of engagement photos on this page displays a variety of images from various engagement sessions that I’ve had the pleasure of photographing. You’ll see images from all over New York City (Manhattan, Queens, and Brooklyn) as well as New Jersey, Connecticut, Long Island, the Hudson Valley, and beyond. 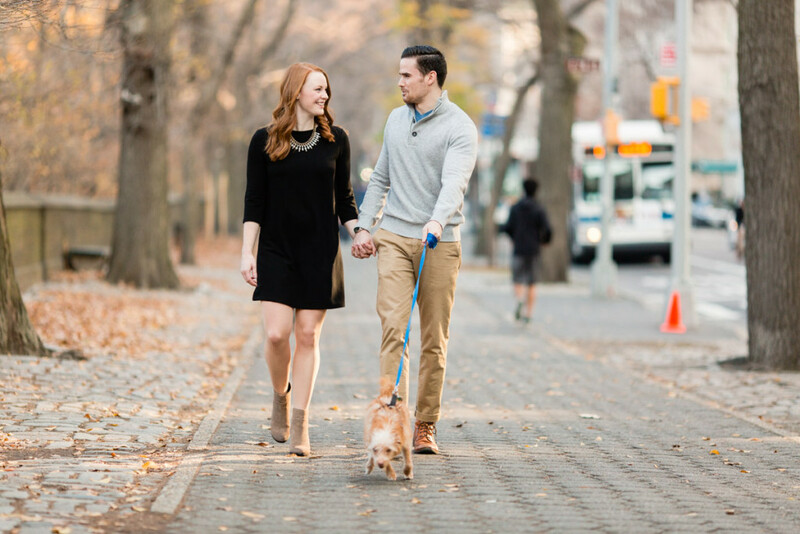 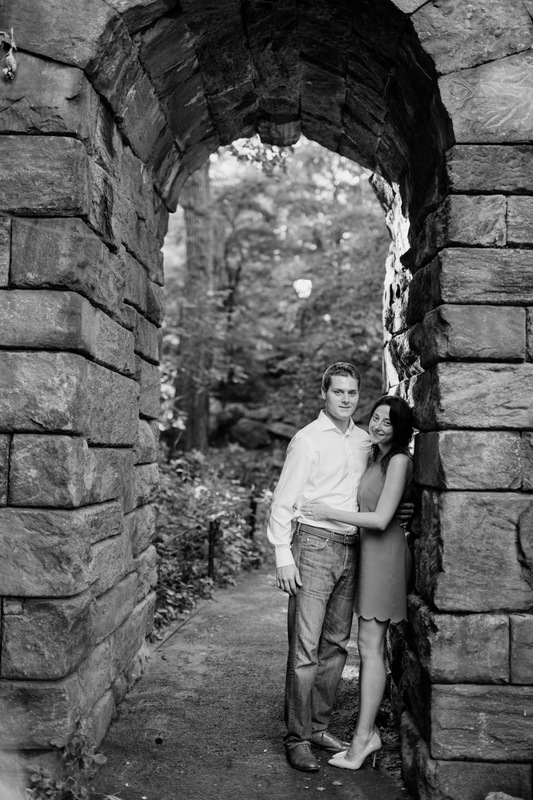 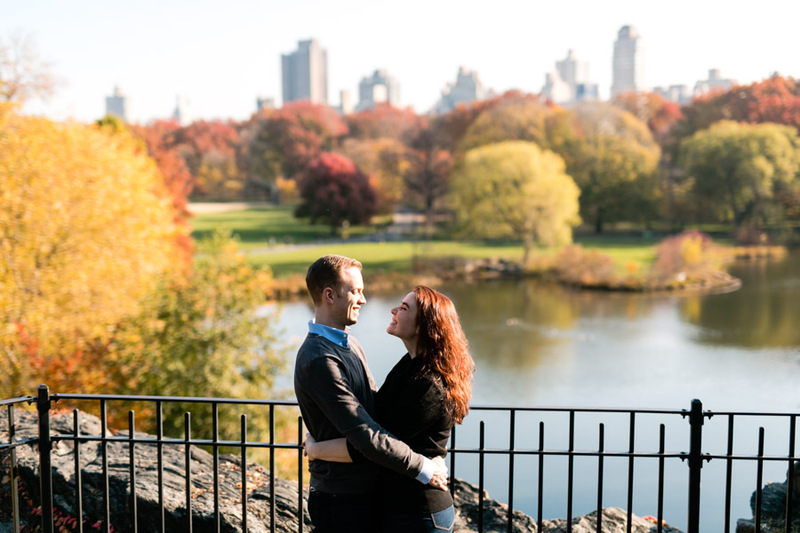 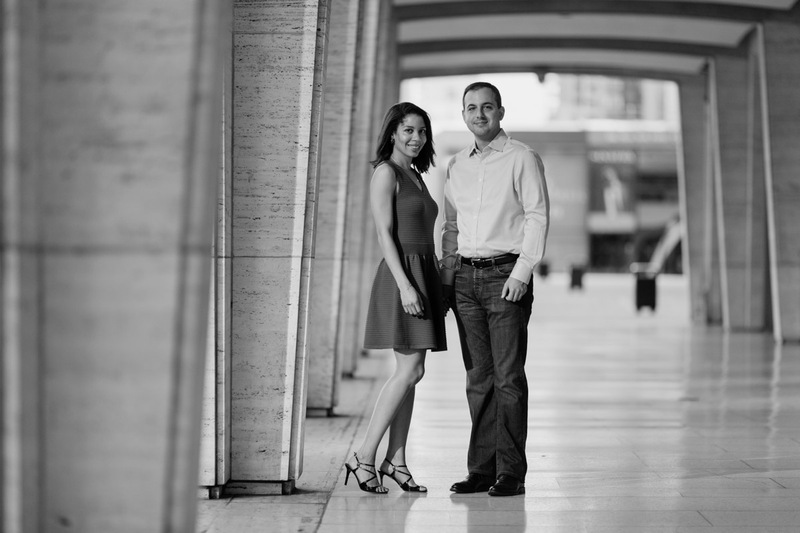 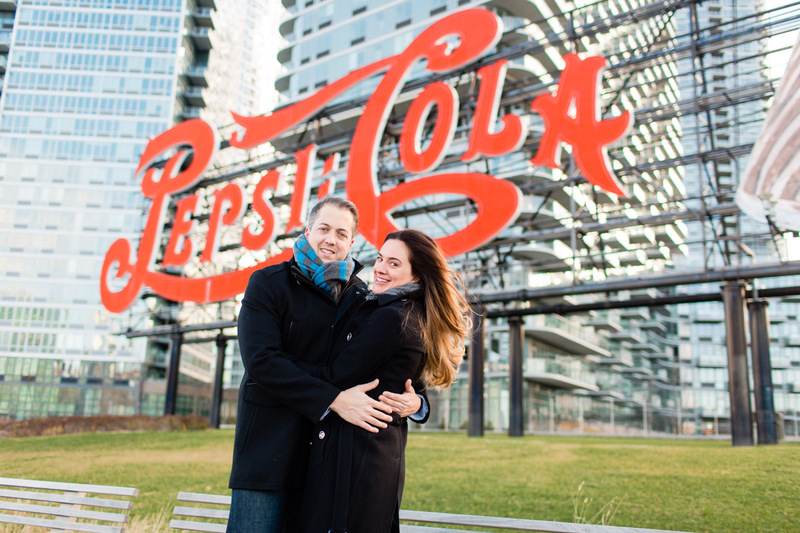 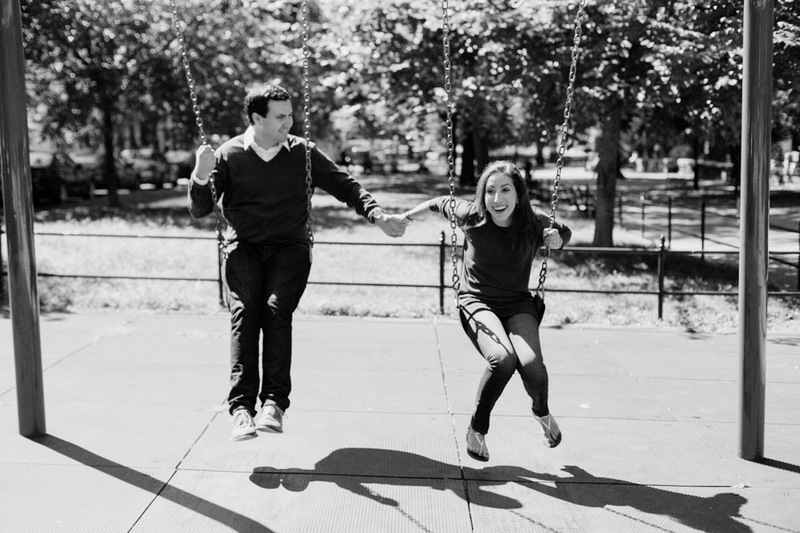 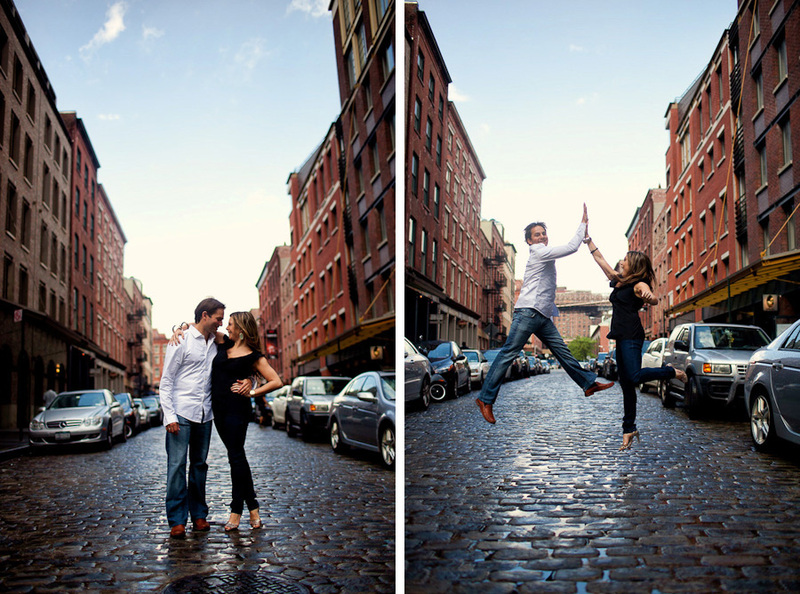 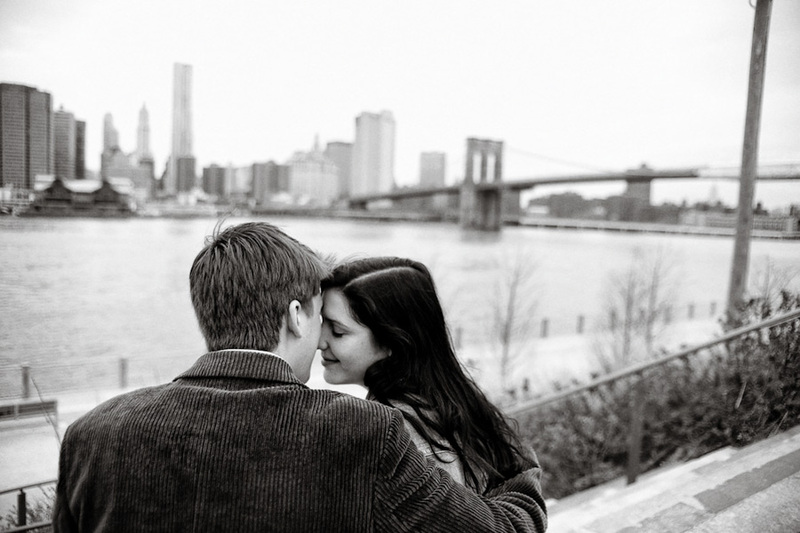 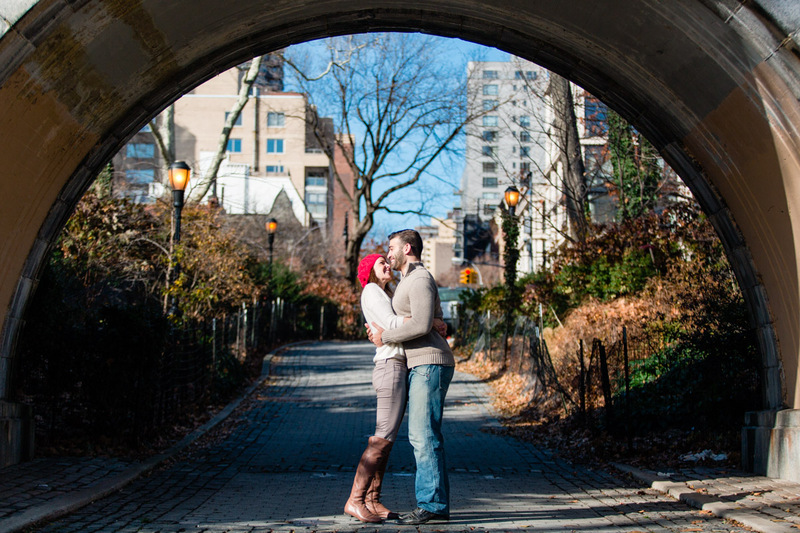 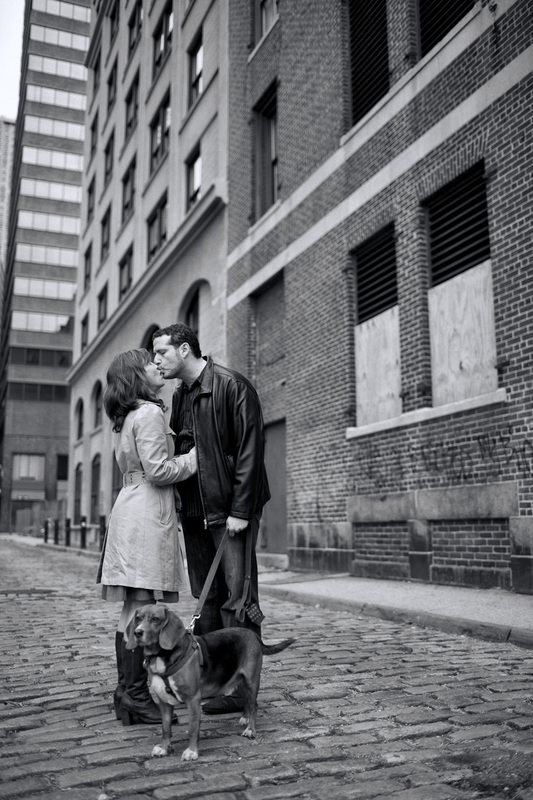 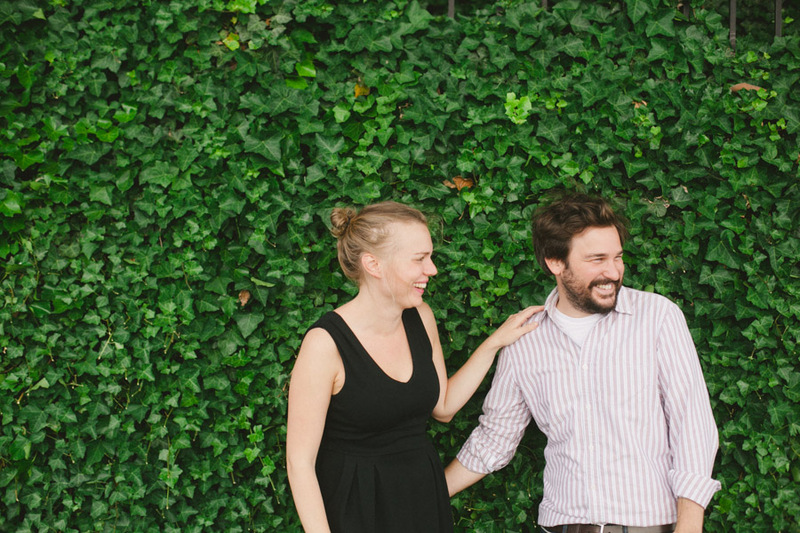 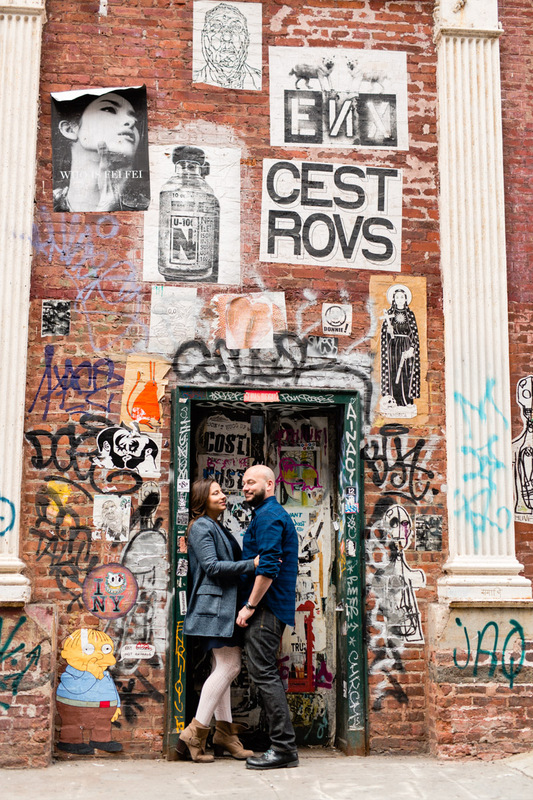 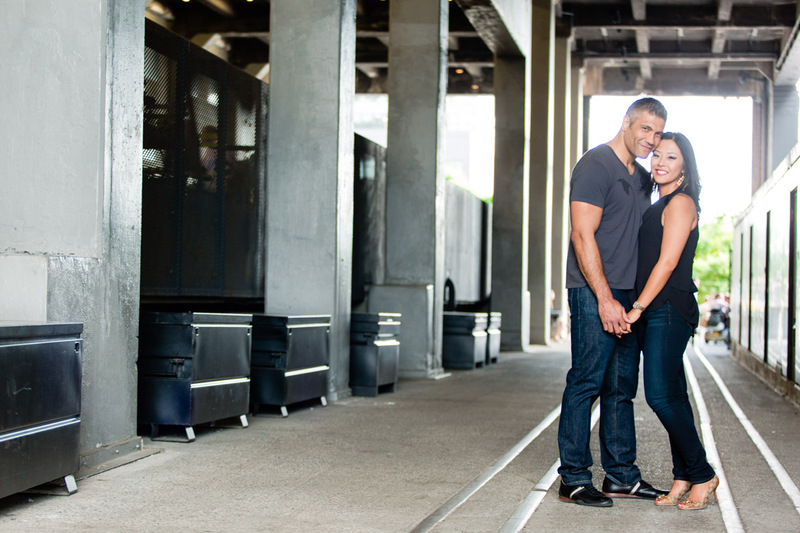 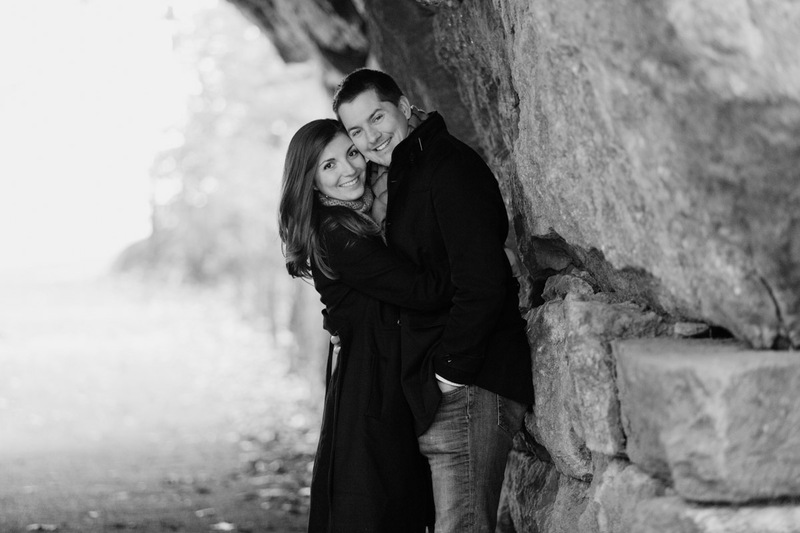 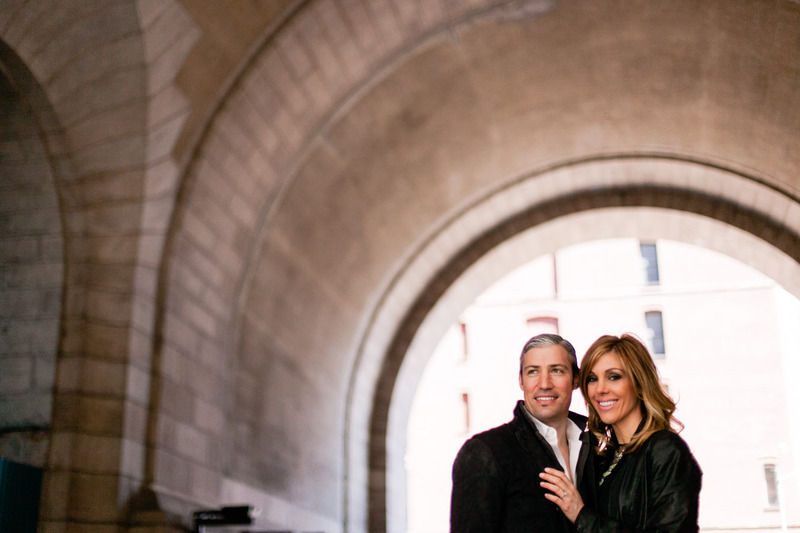 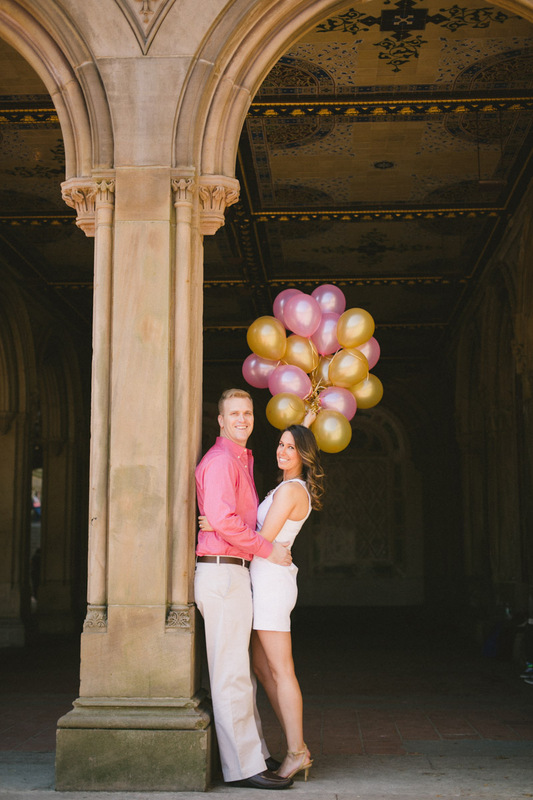 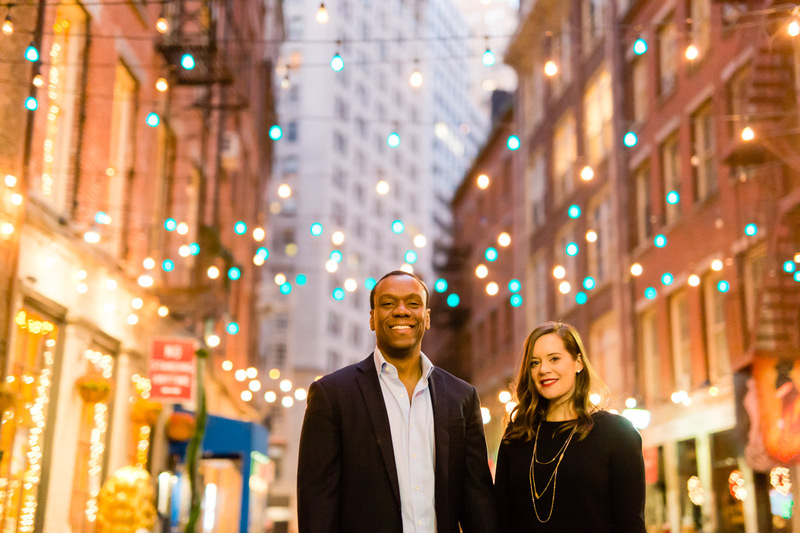 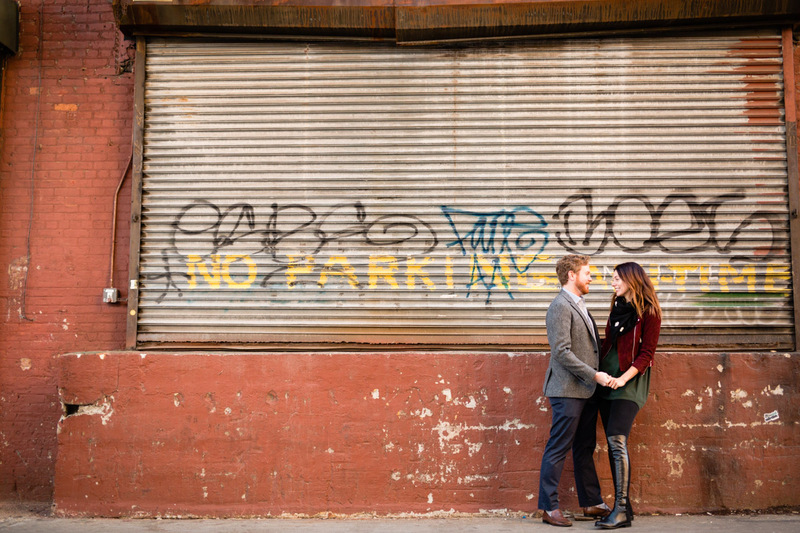 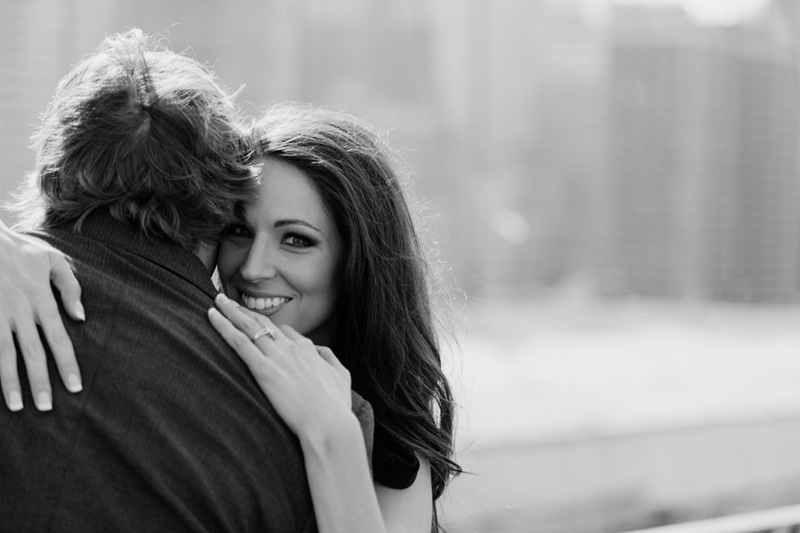 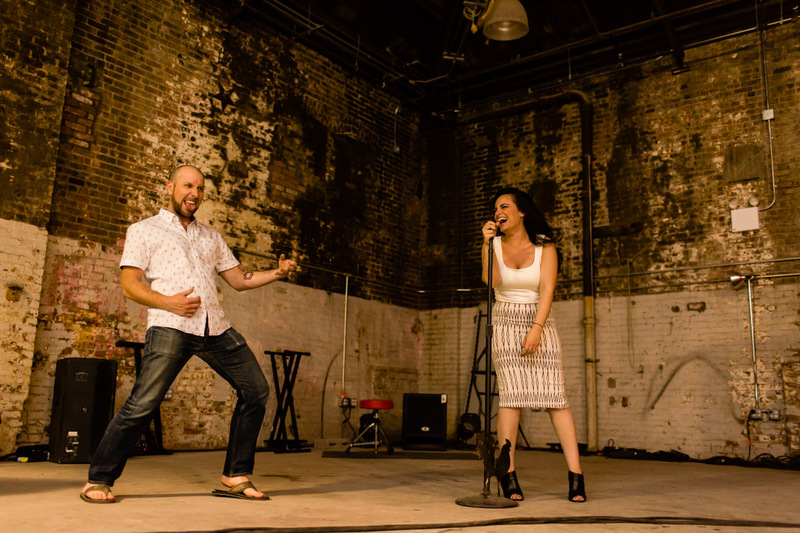 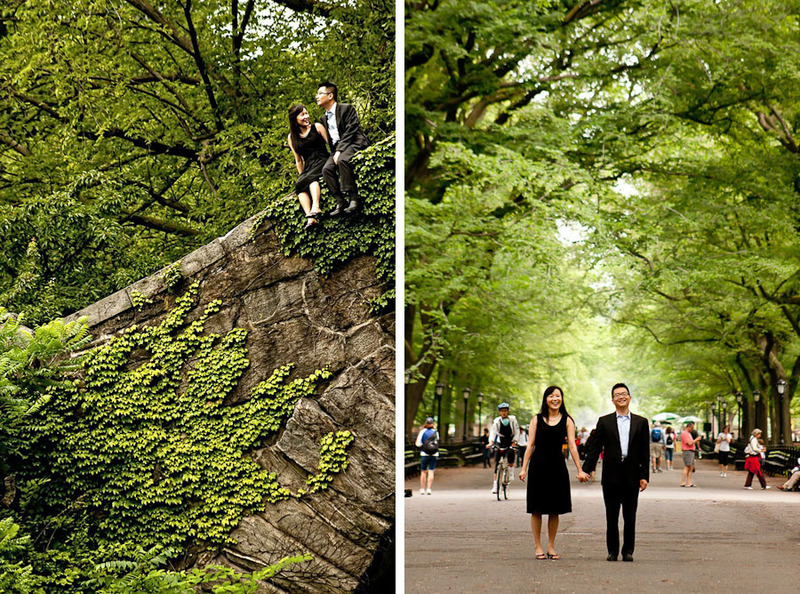 If you are looking to have your engagement photos taken in New York City, there is an endless variety of locations to choose from, ranging from the scenic vistas of Central Park to the cobblestone streets of the Meatpacking District to the industrial buildings of Brooklyn. 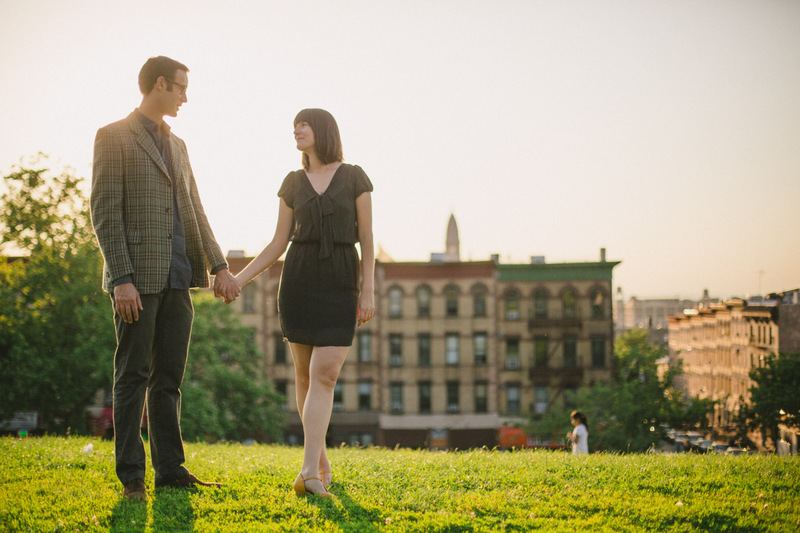 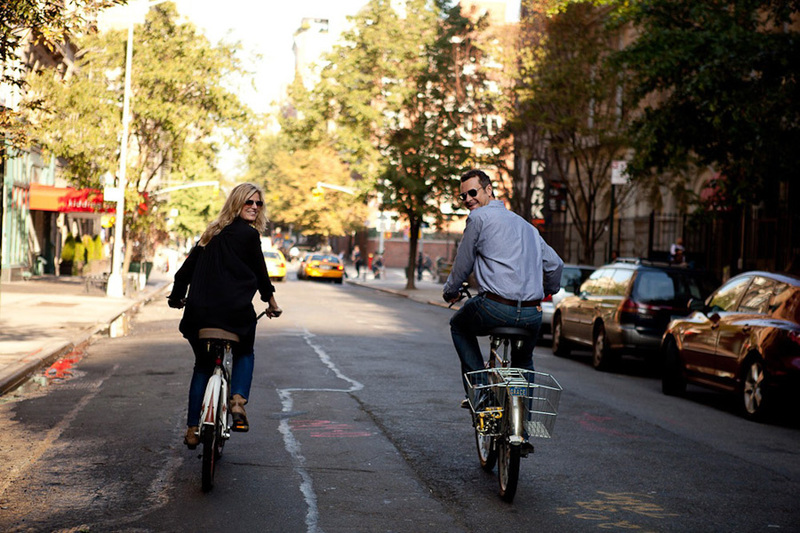 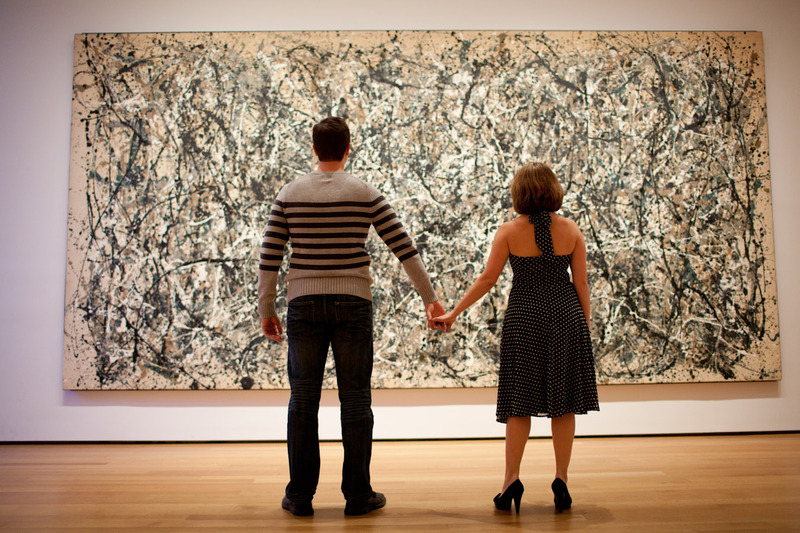 My suggestion to you is choosing a spot that has personal meaning to you, such as a first date location or a place you love to go or an activity that you enjoy together. 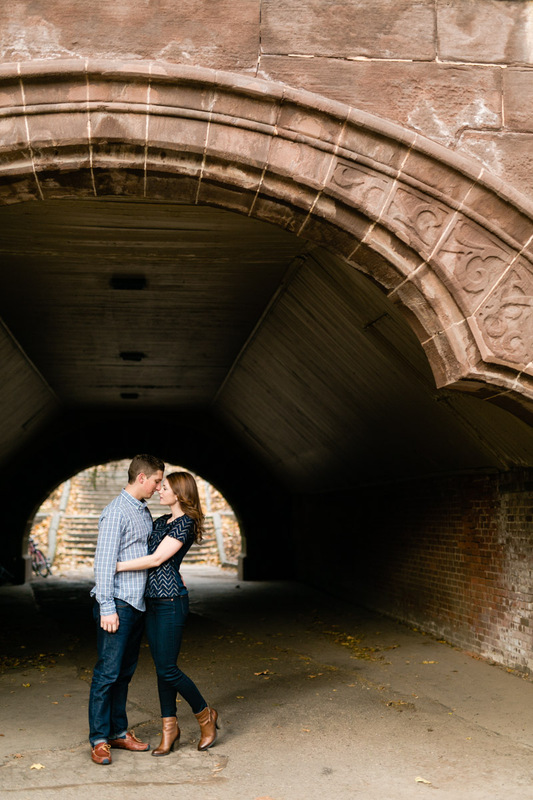 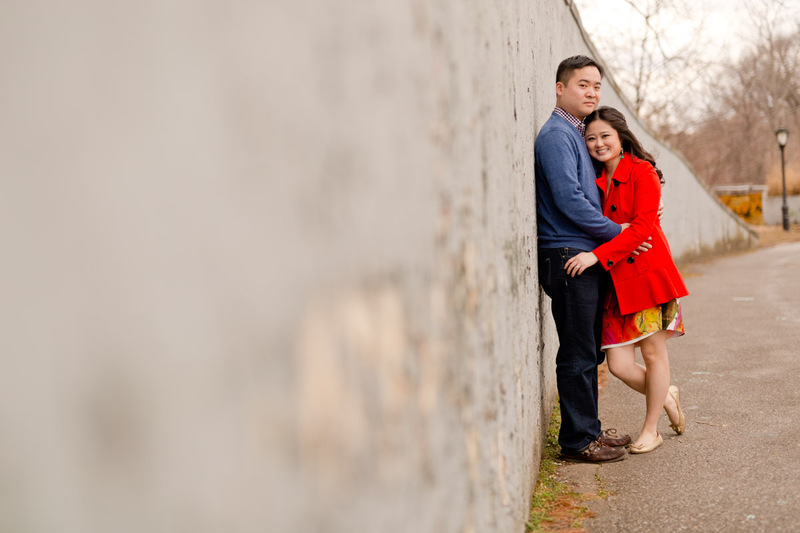 This will give your engagement photos a much more personal feel and the emotional connection you have to the location or activity will only deepen over time. 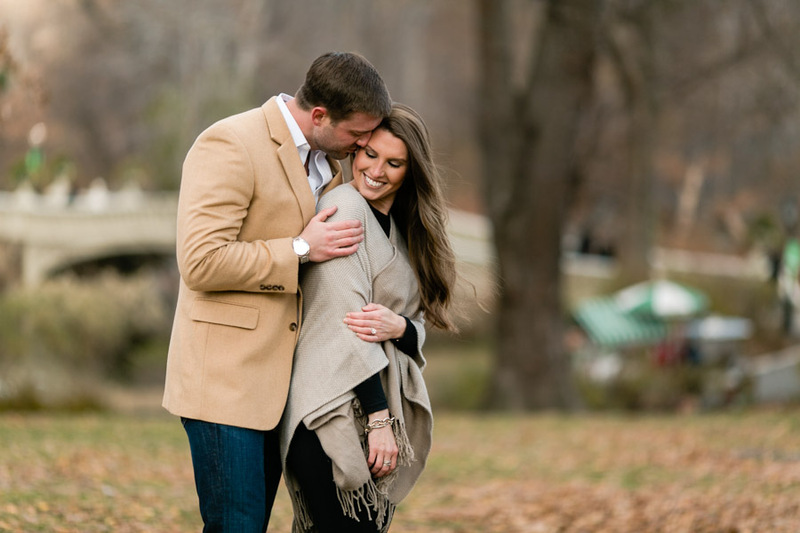 If you’re wondering whether to have an engagement session, let me tell you that it is worth it – for both you and your wedding photographer! 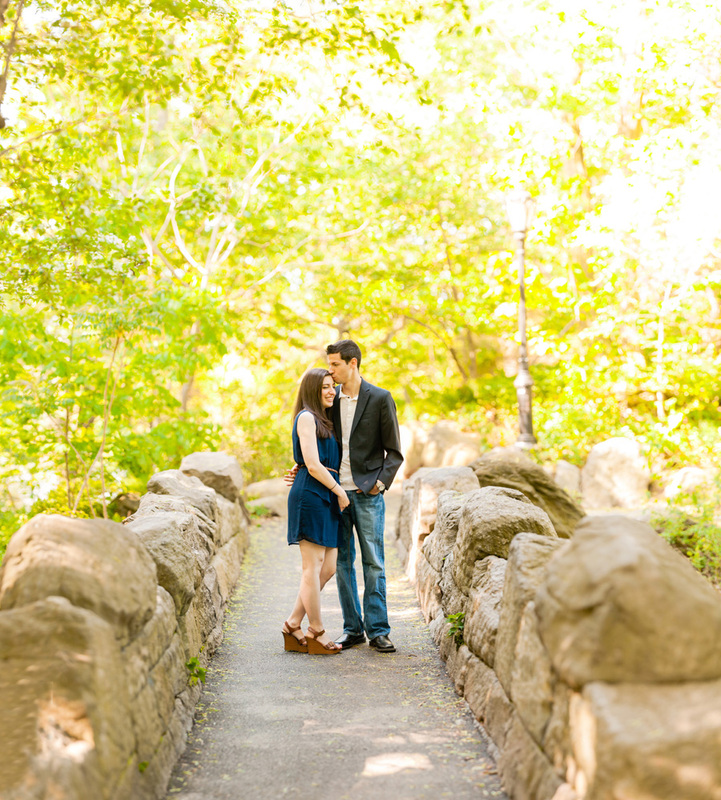 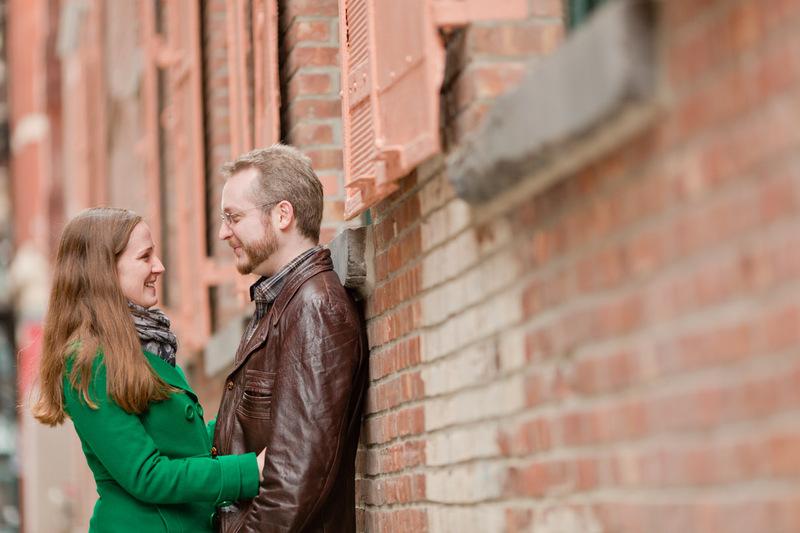 I love getting to know my clients during the engagement session. 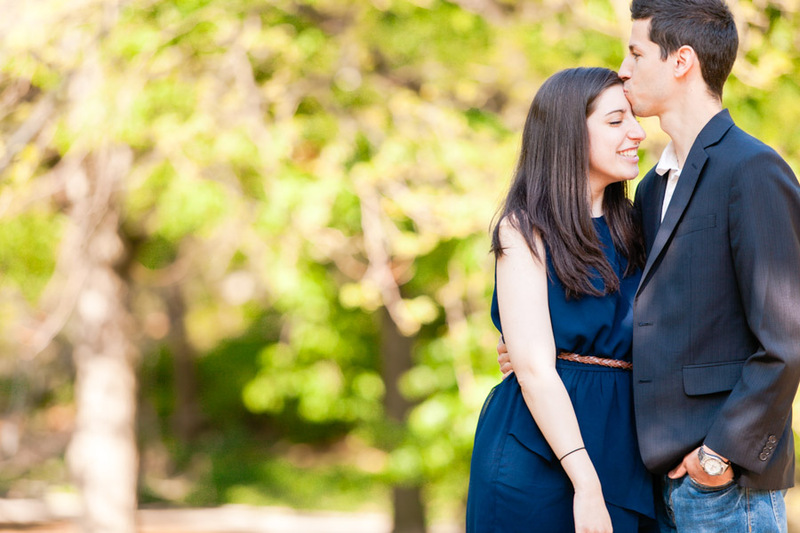 We get a chance to build a rapport together before the day of the wedding. 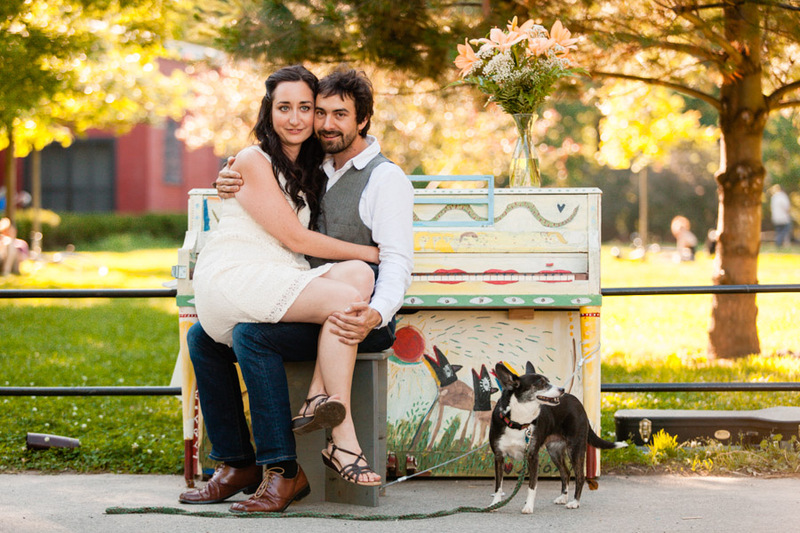 Let’s face it, most likely you’ve never been the subject of a professional photo shoot before. 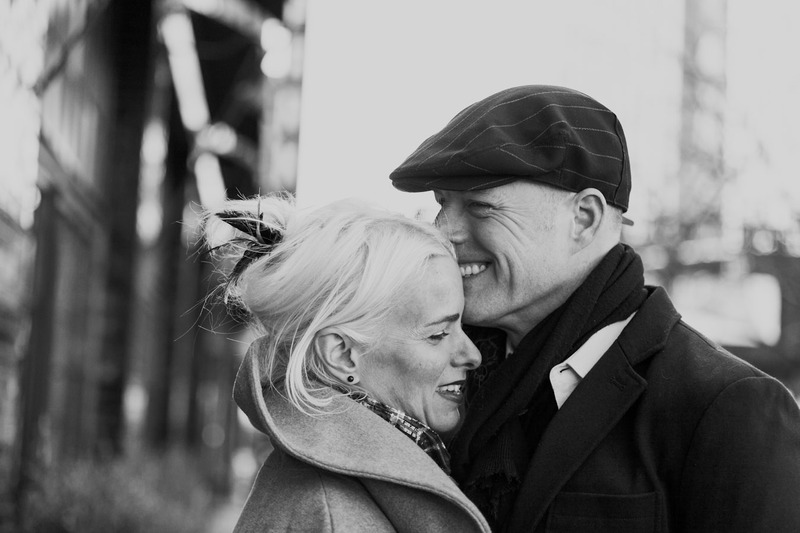 This gives you a chance to relax and feel what my process is like – and trust me, it is painless and gentle and a lot of fun! 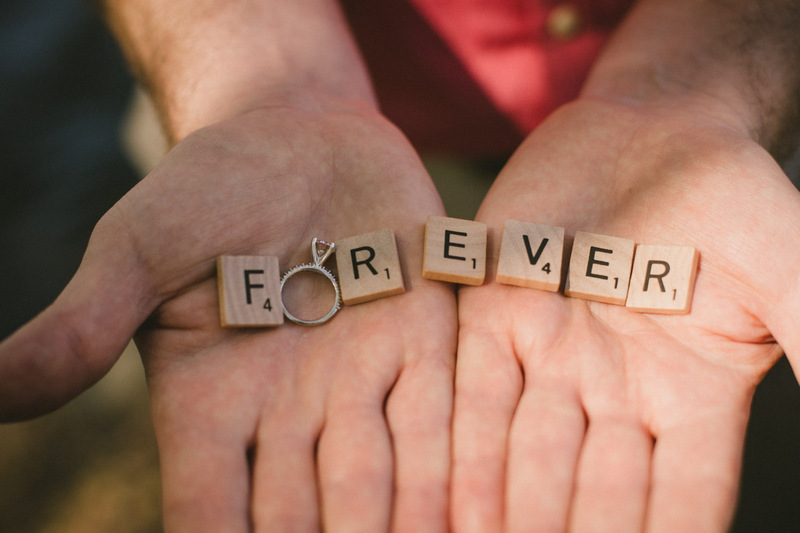 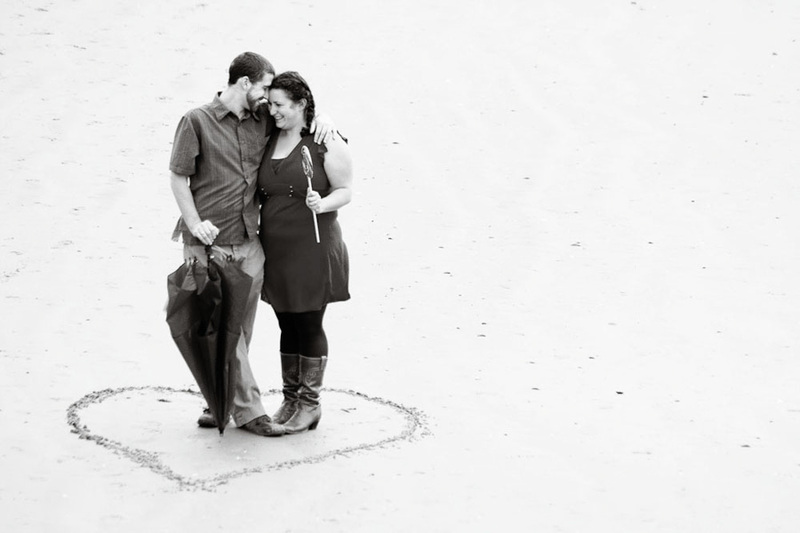 So, if you are ready to book your engagement session, get in touch and let’s talk details!